Flaxseed oil comes from flax seeds like these. If you're interested in taking care of your health, learning about the flaxseed oil benefit for women is essential. Flaxseed oil contains lots of nutrients that can assist with common female health issues, from serious disease to fighting the appearance of aging, and it's also good for men, too. Flaxseed oil is a vegetable oil derived from the flax seed. It has been used for centuries as an ingredient in paints, varnishes, and even cattle feed, as well as in healing balms for skin problems and to relieve constipation. More recently, flax seed has become an important staple for the health conscious. Flaxseed oil contains all of the nutrition of the seed itself and can be purchased as supplements, in liquid form, or in capsules. Women are prone to various conditions and diseases, and also suffer from the symptoms of menopause, PMS, and other conditions that are based around the reproductive system. Flaxseed oil contains many elements that can help to combat both the symptoms and the afflictions themselves. The fatty acids in flaxseed oil are extremely important for women's health, as they are essential but not made by the human body. Consumption of fatty acids leads to healthier cell walls, which are more able to fight infection while protecting healthy cells. Flaxseed oil is widely available at health food stores, or any place where you would buy your usual vitamins and supplements. Flaxseed oil contains proteins with a complete acid profile, which are especially beneficial to vegetarians and vegans. Liquid flaxseed oil has a short shelf life, so store it in the refrigerator. Use up to one tablespoon per day, sprinkled over salads or other dishes, or stirred into yogurt or other soft foods. Cooking flaxseed oil could damage some of the nutrients, so try to take it cold or at room temperature. Flaxseed oil supplements can be stirred into water or other liquids, or added to smoothies or shakes. Read the label on your supplements for serving suggestions as well as proper dosage. Capsules are perhaps the easiest way to take flaxseed oil. They are best absorbed by the body when taken with milk or food, especially with proteins. Check labels for dosage instructions, and if the suggestion is to take more than one capsule, spread them out over the course of your day for maximum benefits. If you're a vegan or vegetarian, make sure to check what the capsule itself is made of. Some capsules use gelatin for elasticity, which is a no-no to vegans and some vegetarians. 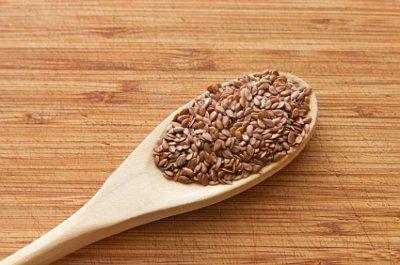 The health benefits of flaxseed oil are hard to ignore. Try investing in some supplements, oil, or capsules, and see if they improve your overall health!